Is There A Best Time To Post An Anime Review? As someone who writes fourteen episode reviews a week most weeks and also throws in whole series reviews and book reviews, the question of how and when to schedule is one I come to over and over again. When I first started blogging I would literally just watch an episode write something, do a bit of an edit and post. But then a whole bunch of shows would come out on the same day and I ended up starting to schedule posts for following days or else I’d have some days with heaps of posts and then nothing for the next. Eventually that evolved into the process I have now where at the start of each season I work out a rough schedule of each day so I know which posts are going to go out and when. My schedule notebook has every post I’ve scheduled and then published written in it since the 7th of July 2016 and it has served me well with only a few hiccups in the schedule when I’ve miscalculated a time zone or the like. Careful scheduling ensures time saved – so more time to play (or work, but let’s not talk about that). But that doesn’t stop me wondering if there is a best time to post an anime review. Whether we are talking episode review or a full season review you are left with a fairly big decision. Do you get your post out as soon as it is finished airing to be the start of the conversation? Do you wait a little bit to work through your thoughts and to give yourself and other viewers some time before posting? Or do you distance yourself entirely and let all the fuss die down so that your post isn’t coming out at the same time as about a dozen others on the same anime? I don’t actually know which approach is best. I know I take the second one. With everything except Sword Art Online Alicization this season I’ve given myself at least a day if not more between when it airs and when I’ve scheduled my post of the episode review. 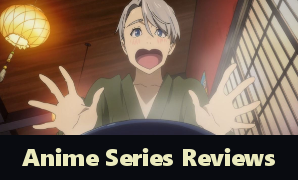 For full series I schedule one a week so it takes me nearly two and a bit months to get through the previous season’s shows and then I review some older anime until the most recent season ends and I start the cycle over again. Is this the best option? Again, I don’t really know. I remember how fun this seemed back then – it was only three months ago. It works for me because I don’t like feeling rushed. The only reason I review SAO on the same day as I watch it is because I was excited for its return and didn’t want to wait longer to discuss it when it first started airing. A lot of the excitement has kind of fizzled for me since, but given it comes out Sunday morning I usually have plenty of time to watch it, write a draft post and come back to it later in the evening and edit before publishing. So I’m not really inclined to move it at this point. For my other posts I can watch the shows the day they come out, if I have the time, but if I don’t, I’m not worried. I’ve got space in the schedule. And my posts go out on time fairly reliably. As a reader, I know that there are posts I actively avoid. Given time zone differences, a lot of anime comes out late at night or early morning so it isn’t until I wake up that I can possibly watch it, but I usually do a read through posts and comments first. Anything reviewing an episode I’m about to watch of a show I’m really invested in (such as The Promised Neverland), I don’t open. I’m not paranoid about spoilers but I’d rather not read someone’s full take on the show before I watch it. If I remember I try to go back after to find those posts I skipped in the reader but sometimes I just don’t get back to them. Avoid looking at it – you don’t want to know. Being first out for a review is good in that people who are wondering about it or waiting for news will appreciate the timeliness of the post. However, a lot of viewers don’t want to read a post until after they’ve seen it themselves so sometimes being first means your post gets lost. In terms of posting later, timeliness is something that needs to be considered. Episode reviews lose relevance quickly unless you are talking about something super popular that people will pick up outside of seasonal viewing. That said, you’ve got people who subscribe and watch things the week of release, people who get access the week after release, people who wait for the dubbed version which is sometimes a couple of weeks behind, and people who wait until the whole show is finished before starting it. So you’ve got a few windows to hit in terms of relevance for an episode review. If readers want what you are writing you hopefully won’t have to force feed them. As I said before, I don’t actually know the answer to the question of whether there is a best time to post an anime review. All I know is that each blogger is going to find what works for them in terms of being able to watch, write, edit, and post, and readers are going to find what works for them in terms of content they want to read. However, for other reviewers, I’d love to know how you decide when to post your reviews and what you consider when making those decisions. So please, share your thoughts in the comments below. Inquiring Minds – How Do You Come Up With Blog Content? Feature – Is There A Best Time To Post An Anime Review? Well, the obvious solution is to watch the previews and trailers, dig up all the prerelease info you can, make predictions dependent on what the director has done before and “review” it before the anime is even out. 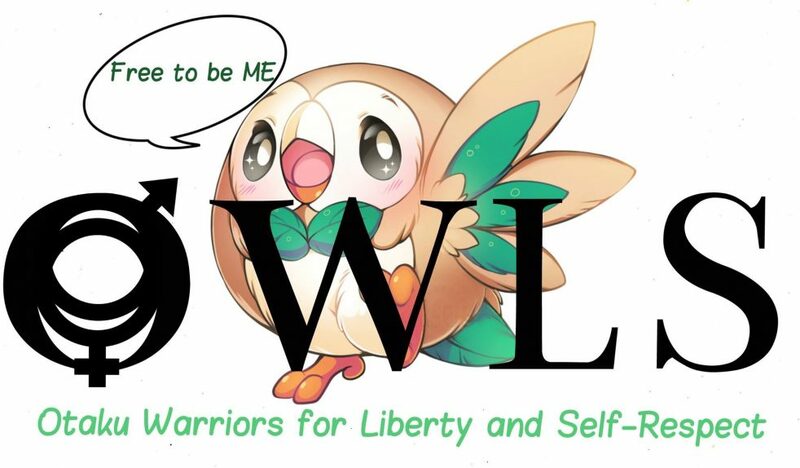 You’ll be one of the first. I’m sure someone wrote a posts series like that where they were reviewing anime based on their cover art and synopsis and then doing a watch and compare post. I can’t remember who it was, but I remember enjoying reading it. I’d say as a reader I like reviews after every 6 episodes. That gives you enough time the really get a handle on the anime and whether it is worth watching another 6. If you are looking for max views I don’t know if that works. I tend to do it the next day or the day after a show comes out. Sometimes, even a week depending on how popular a show is. Especially since you want your article to rank on Google and have people read it, but as you pointed out, people also don’t want spoilers if they haven’t seen it yet. As for the time though, I use Google Analytics to see when my readers are visiting my page the most and schedule it then or an hour before. You are right in that you definitely want someone to read your post, otherwise you wouldn’t bother to write it. Thanks for sharing your process. Raises the question of motivation for me. Some people want to read a review before they see a show to decide if it is right for them. Others read because they are trying to better understand what they just saw. Trying to write a review for both audiences at once is challenging to say the least. One just wants an overall feel while the other doesn’t care about spoilers. This has been a consistent struggle for me over the past few years, especially since I cover anime, movies, and live action shows. Stats wise, I recognize the sooner the better but, like you, I got a day job and sometimes staying up to be one of the first means sacrificing sleep. But, I find that usually if you are within a day or two, you are usually fine. I have found tweeting and not just making it, “Here is my post! Like and share!” helps things. Granted, often your tweets will be your notes, and may expose certain things you may edit out, but it is sometimes far more engaging than you posting a couple hundred word essay and then maybe getting a reply within a few days, or months after you already forgot what happened. I digress though, best time to me is usually within 48 hours. However, I’ve found, if the show ends up on Netflix, you’ll usually get a bit of a boost later on. I’m also slowly learning how to help some of my posts along with tweets. It has taken a good long while but twitter is now one of my best sources of traffic for my blog. Maybe I’ll need to look at that for a future post idea and I’ll probably try to pick your brain about your experience with twitter. LOL! Nothing gets in the way of MY sleep! This is an excellent topic to talk about! I’ve only started doing seasonal reviews not that long ago myself so I may not be the best person to talk about this. However, since I was able to go from around 1.500 views to 3.000 in just a month (just by Google search and Social Media since my WP readership went down… Like seriously down), I think I may be doing something right… Hopefully? I think that for the first episode it’s important to get it out right away! That’s why in the first weeks of January, my schedule has been on fire with so many posts getting out! Normally, the first episode is the one who will work the best and get more views, so being on top of the game the soonest you can work the best. So, when it comes to the first impressions, always after episode 3, I think it’s more about writing a good title that works more than just put it out! 😛 I mean, at this point, especially for the popular Anime shows, everyone is already speaking about it. Full reviews I think it works best a little bit after the season ends since normally that’s when people who prefer to binge watching it will start looking for said Anime. Thanks for sharing your thoughts and experiences on the topic. I find with older anime it isn’t so much about timing as picking an anime people have heard of or are interested in. Though if you can time a review around when something is happening (such as a reboot or a new release) that does kind of help with views. This is really an interesting question since I rarely ever think about timing. When I’m satisfied with my review, edits, etc I usually find an open spot in my schedule and plug it in. I guess that’s the easier side of not watching too many currently airing series since I don’t have to consider the timing with that. One of the few things I have been more conscious of is not doing a full series review right after it’s airing. If it’s something I blindly enjoyed; of course I’m going to give it a sparkling review. Which isn’t a bad thing, but it certainly makes it harder when someone comments (not maliciously) about a flaw. I feel like as a reviewer I missed acknowledging that particular flaw, but that might just be a personal thing lol. There’s always going to be people who see things differently as well. I do like giving myself some space between finishing watching something and drafting mostly so that I can think through what the main points are that I want to talk about, but at the same time, I’m not going to cover every strength and weakness of the series. 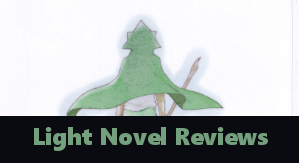 Plenty of my followers and commenters have different views or add something in the comments that I don’t address in my review and I think that just makes for an interesting conversation point for those reading the review. 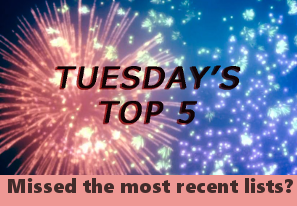 I guess I don’t have much to add to this conversation because I just have a weekly recap thing that I have early on Mondays because it’s easier for me and allows me more time to work on other posts. Could I keep this post in mind when writing a post about reviews in the future? I’m thinking that it would make sense to post a first impressions / episode 1 post sooner rather than later, for people who are still deciding whether they want to watch the anime or not. After that though, who knows. Just like many others, if I haven’t seen it, I generally won’t read it. Of course winter 2019 is the first time I’ve watched a currently airing anime on a weekly basis with Pastel Memories – and I’ve been reading every post I see about it, although it’s not exactly a popular one haha. Still not sure how I feel about episodic reviews. Yeah, the first episode posts are probably the most widely read and it is fairly necessary to get them out in a reasonably timely manner. Even though I do weekly summaries once the season gets rolling… I’ll do 2-3 first impressions posts for just that reason. I pretty much learnt the hard way – pacing yourself is just as important, in order to prevent burn outs etc. So these days it’s whenever, that way I do give some room for any edits needed or just giving it the once over before scheduling. Precisely. I don’t mind re-arranging my perceptions, but I refuse to allow someone else to (even accidentally and completely without malice) dominate my experiences. As far as scheduling goes… I post in a different style, so I have a different problem. My weekly post also has to fit in and around with all of my real-life activities as well as a day when I have at least 36 hours between watching the show and the post being due. I’ve learned to live with sometimes being late to the conversation…. My loyal readers and commenters don’t seem to mind though. I think that sometimes you get a more measured conversation a little after the show has aired. People have had time to digest, consider, look at other points of view. And yes, fitting posts around real world activities is always a bit fun. Last week and this week for me have been very full on and next week has a major event happening in my real life so I’m desperately trying to make sure I’m well ahead with my schedule so things don’t all fall apart on me. Monday. Monday is the best time to post an anime review. Because science, or something. Okay, actually, I just don’t have time enough to do more than one series review a week, much less keep up with a show as it airs. Somewhere along the way, I just shifted my anime reviews to Monday, for literally no reason at all. I think you know I make all of this up as I go. I have no idea what I’m actually doing. Then again, it probably isn’t fair to call me an anime reviewer, so what do I know? Well, I do know one thing. What you’re doing now, works very well. I keep up with which shows you are reviewing, as I often find those are the shows I end up liking as well, when I have time to actually watch them. I don’t think there’s a single right answer on this one. I think it’s more about finding your own rhythm, and doing your own thing, and being the kind of reviewer that people want to follow, by writing content they want to read. You accomplish all of that, so what your’e doing, it’s right for you. Oh. Hey. That almost sounded deep. Damn. There. That was close. Somebody might have taken me seriously. Can’t have that. “I don’t think there’s a single right answer on this one. 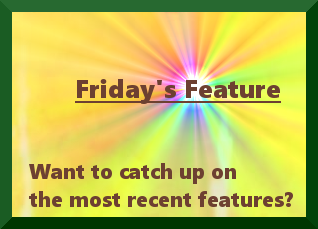 I think it’s more about finding your own rhythm, and doing your own thing, and being the kind of reviewer that people want to follow, by writing content they want to read.” – This is outstanding advice. And thanks. Sometimes I wonder if I annoy people with frequent posts or if I don’t get stuff out soon enough and so on and so on. I can’t help it, I like to micromanage my life and blogging has been one big learning curve with a lot of things that are just outside of my control. Oh, I get that. I always feel pressured to get more content out myself. Not by anyone but myself, mind you, so I kind of had to learn how to live with my own sense of expectations, and that it had nothing to do with anyone else. Your doing great, though. Have faith in yourself. Do your thing. Lots of folks obviously like it, so you must be doing pretty okay, yeah? I kind of always end up posting them when I finish writing, or the next morning. I’m just doing it for myself right now, and I doubt waiting for everyone to watch the episode, or rushing to post right after it airs would give that much of an advantage. For the most part I watch dubbed, mainly because it’s easier to watch it and do other stuff, so I end up skipping loads of the episode reviews for the same reason as you. I don’t like spoilers but I also want to watch clean without anyone else’s opinion sneaking in. If I remember I’ll go back and read the episode reviews, especially if something annoyed me or was a bit special to see if anyone else saw it too. Plus I also tend to wait until I have four episodes to binge. I make the occasional exception like Bunny Girl Senpai and Promised Neverland where I’ll watch the subbed version as soon as it airs. I do tend to try to space out my posts, which isn’t too much of an issue as I’m generally not watching them at the earliest possible opportunity. I really like reading your impressions of anime after four episodes. As much as I enjoy episode reviews, twenty minutes doesn’t given a lot to work with and you end up doing a lot of speculation about things that may or may not have become clear in the very next episode. Three or four episodes gives a more logical idea of what the tone overall is and the direction the series is going. That said, I really want to talk about what I just watched so I’m probably going to keep doing individual episode reviews. It’s hard to find the balance. I always feel like I’m playing catch-up and always get to discuss the hot topics as they happen, but then watching dubbed puts me behind to start with anyhow. Yes, I’m kind of addressing that point in my Inquiring Minds question this week which is about watching dubbed anime and reviewing. I know they are starting to try simulcasting dubs or at least getting closer to the release dates with some shows, but there’s still a time gap between when the subbed comes out and the dubbed. i dont really have any data to support it, but i get the impression that earlier posts do have a bit of an edge when it comes to episode reviews (mostly basing this off of youtube, since it’s lot easier to get a sense of views across multiple areas). when i started out, i tended to focus more on that, but i no longer have the time for that. it’s kind of interesting too, since the timing of fansub releases were wildly inconsistent back then. these days, simulcasts are much more reliable, so timing is a lot easier. nowadays, i just schedule everything because it keeps me consistent and it’s less stressful. im of the opinion that timing just doesnt matter at all for series reviews, though. Interesting about YouTube, and I guess you are right. Once a review or a episode impressions video comes out and starts getting views it is more likely to be found on YouTube then a new video on the same topic so it probably would have a bit of an edge. I wonder if that also follows onto blog posts though I’m not sure how you’d collect data on that. Generally, it depends on my schedule for a given day. When I first started, I, too, posted reviews immediately after watching something. Lately, it’s usually about a day or so after finishing it, as I need to collect images, think about what I liked and didn’t like about it, or simply to spread some time between posts. 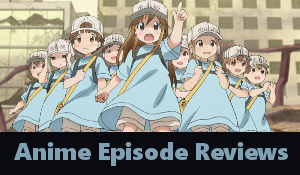 My recent Hisone to Maso-tan review was a rare return to the early days, though! I enjoy having that day or two between watching an episode and finalising the review to think over what I liked and didn’t like and find a way to explain it without just ranting or gushing (though that still happens occasionally). This is an interesting topic. I don’t normally do episode reviews outside Crunchyroll of the Dice, so my experience with this is really going to be Star Trek Discovery this season, which isn’t an anime. Once I’m top of it though, I intend to get reviews out shortly after I’ve watched the episode, like maybe a day later the same as I do with the IDW Sonic Comics? Now actual series, that’s different. If it’s a review copy, I have to keep an eye on release date changes, as the companies tend to prefer me to get it out in the week before or after the release of the DVD/Blu-ray. If I’m watching off my own back though, I’ll simply set it up for when I have a free slot on the site. That’s interesting to know how other people look at it. Do you find reviews that come out near to the release date get more views or is it much the same regardless? Slightly more from the UK, likely because they’re UK releases. For other countries it’s much the same. I think the USA gets a lot of releases first, for example, so the review date seems late regardless unless it’s a simulcast that I’ve watched on release.